It would have been another lazy Saturday afternoon doing the usual weekend humdrum. Last Saturday was extra-ordinary. It was decided that my family would do something different. 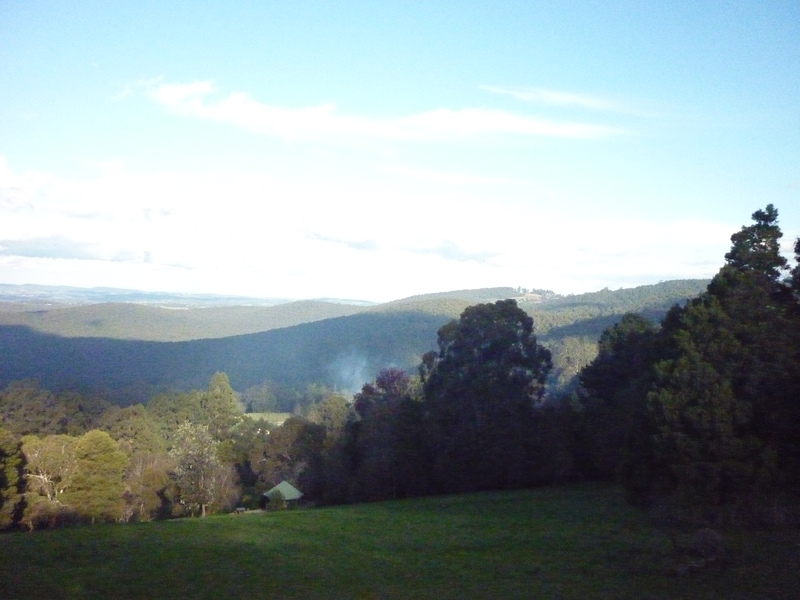 We planned to drive to the Dandenong Ranges which was about half an hour’s drive from our suburb. With packed lunch and excited children, we were finally off to do something fun as a family. The drive was pleasant and the sights were breath-taking. I particularly liked the rainforest with such tall tress and serene comfort. The lookout points had picturesque scenaries that photo taking was a must. There were a number of picnic grounds but we chose to eat our pizza and sandwiches in the car, not wanting to brave the cold weather. We stopped by Olinda Village to explore some local shops. The shops are interesting and quintessential with many great finds. We felt like tourists visiting. It was fun. If not for the time factor, we would have stayed a while longer for tea in one of those inviting cozy cafes. A hot beverage would have been nice. It was a really memorable day trip though we have not explored the place fully. Looks like we will come visit again very soon. After all, it is only a stone’s throw away. Two weekends ago when I ran a stall selling second-hand children’s books, it was an experience more than I bargained for. Though it was something of a necessity, an opportunity to rid the house of out-grown books, the letting go of them was painful. Each of those books meant something to me or my family, especially my children. When I was packing the books for the stall, I painstakingly made the effort to wipe clean each one and savour the memories behind them. I can remember why that particular book was bought, when it was read and to whom it was read to. Seeing the worn out pages, the beautiful illustrations, the paper flaps, the 3D pop-ups … I reminisced the times when the books were enjoyed. Those treasured moments were deeply etched in my mind. They were shared memories with my children and a time of old fashion bonding. As I put my sales pitch across to each customer, I was surprised that I was able to relate personal anecdotes on the books and how they were used or how they affected us. Though it was emotional to let go of these so-called mementos, I finally have to part with them and allow another family or other children to enjoy and benefit from them. There was also a spirit of renewal, when the old gives way to the new, expecting another chapter to begin. With the exception of a few books as keepsakes, I am now ready for a brand new page and will move on to create new memories, continuing to read books. The journey never ends and realised that by letting go of material things, no matter how precious they are, we should instead just cling on to the memories and appreciate the people who helped create them.